Miller’s Casework has set itself apart with our unique Old World Craftsmanship and modern, updated manufacturing processes. 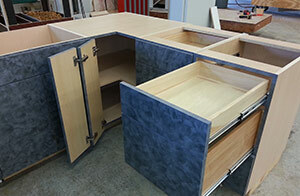 No one creates European frameless cabinets like we do. Based out Sparta, Tennessee, Miller’s Casework is a commercial cabinet manufacturer proudly serving casework distributors and vendors in Tennessee and strategic parts of Alabama, Georgia, and Kentucky. Our commercial cabinets are designed and constructed with beautiful craftsmanship and computerized manufacturing processes to give our clients the best of new and old. 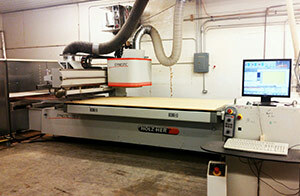 During construction, we use the industry’s finest CNC software and equipment. Every cabinet designed by Miller’s Casework has the utmost strength and durability. While we place high importance on the look and design of our products, we know that all good commercial cabinetry starts with durable, high-quality products. We have always met or exceeded the standards of the Architectural Woodworking Institute. At Miller’s Casework, we don’t believe great customer service is an option or an upgrade – it is the foundation of our business. We place our reputation on providing only the best customer service and never wavering. Every customer can rest assured that they will always be treated with the utmost respect and attentiveness when dealing with any member of our team. European frameless designs are our specialty. With our unique mix of High Pressure Decorative Laminate (HPDL) and Melamine, we create exceptional cabinets for any setting. HPDL: Constructed of several layers of resin, decorative papers, and a clear protective top sheet fused under heat and pressure to form a rigid surface highly resistant to stains, scratches, chemicals, and heat. Melamine: Made with resin impregnated paper infused into the substrate with heat and low pressure. It differs from HPDL in that it’s less durable, but also more adaptable and more budget-friendly. 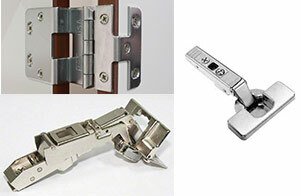 We also offer a variety of hinges from the standard 120º nickel plated hinge to 170º and heavy-duty 5-knuckle hinges. Everything is fully customizable, including box option updates. Give us a call for a free quote. If you’re a casework distributor or vendor in Sparta, Cookeville, Crossville, Knoxville, Morristown, Kingsport, Johnson City, Sevierville, Marvyille, Cleveland (TN), Chattanooga, Columbia, Murfreesboro, Nashville, Jackson, Clarksville, Springfield, Gallatin, Hendersonville, or any of the surrounding communities, give us a call today to discuss your commercial cabinetry needs! We provide free quotes at 931-739-9292.